[PDF] Junior Worldmark Encyclopedia of the Canadian Provinces, Fifth edition | Free eBooks Download - EBOOKEE! Description: Arranged by 40 consistent subheadings so students can quickly compare facts, this comprehensive resource provides up-to-date information on all of Canada's provinces and territories. Users will easily find details on Canada's arts, climate, government, health, languages, notable persons, ethnic groups and much more. 2011-10-15Timothy L. Gall, "Junior Worldmark Encyclopedia of the States"
2011-09-13Junior Worldmark Encyclopedia of the Canadian Provinces Edition 4. 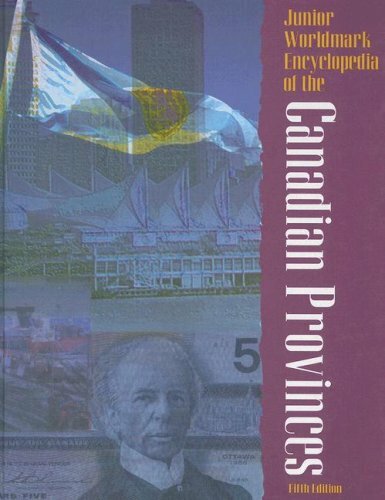 2011-09-08Junior Worldmark Encyclopedia of the Canadian Provinces Edition 4. 2011-08-27Junior Worldmark Encyclopedia of the Canadian Provinces Edition 4. 2017-10-11[PDF] Junior Worldmark Encyclopedia of World Cities Edition 1. No comments for "[PDF] Junior Worldmark Encyclopedia of the Canadian Provinces, Fifth edition".